Which major manufacturer's custom Android UI do you like most? We spend a lot of time talking about custom Android interfaces, courtesy of this or that manufacturer, and that's not surprising in the least -- these can often be quite extensive in their reach (Hello, Touchwiz! ), while others arguably add much needed style (Sense 6, anyone?). But do you have a favorite? A question that deserves an answer, especially now that there's a level playing field for the most part, at least when it comes to the hardware that comes packed into the latest devices. In other words, at least in our opinion, the emphasis has changed drastically from hardware to software, and that, again, is not surprising -- the same thing happened with personal computers, after all. So which one is it? Is it Samsung's chock-full-of-functionality (but a bit messy) TouchWiz overlay? LG's new, flatter UI, which is just as rich in functionality? Or HTC's latest Sense 6 skin, which intrigues with its clean, stylish looks, but is a bit light on extras? And what about Sony's Xperia theme? That one seems to strike a fine balance between a clean look and extra functionality. And Motorola? Any appreciators of its light touch? And speaking of Motorola, what about the vanilla, stock Android found on Nexus line devices? Any of you prefer that one over extra fluff? Let us know by voting right below! I don't like Android, but if i did and had to use a custom skinned phone, it would be HTC's. Why don't you like android? "Too confused and random." Android OS is confused and random? What that means? "Limited by ineffective coding..." Yes there is more malware code for Android OS than for iOS or WP but I don't understand what you want to say by "Limited by ineffective coding..." ? "...conform to a multitude of devices configurations." ??? You talk as if you know something. You know nuts! Android is designed to scale effective regardless of screen size or configuration. Unlike iOS due to cheap hardware constraint Apple decided to lock down the screen resolution making hard for them to change it to support more devices made. Each time they up the resolution, developer are force to make changes to their base code or face with odd black bars. Please learn something about both iOS and Android programming before making silly comments. 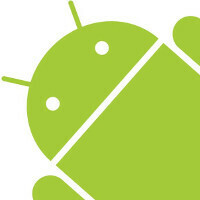 Android and Google have 80% smartphone market in just 5 years. Haters are in for a rough ride. Woah...Dude you seriously need a doctor. LOL, we have another JakeLee/Sauce in the making. Wonder how he backs up his knowledge of "ineffective coding" (although I think it is fairly effective having eclipsed its rivals and by several years too). Wut? Despite your claims, Android will still be the best OS for mobile phones whatsoever. I just don't like it. But I don't hate it or disrespect it. The same cannot be said for my fandroid counterparts, who just hate and troll their competitors whenever they have the chance, as you will see below. You say fandroids, yet you are arguably the most pathetic fanboy I've ever seen. You're even pathetic, a pathetic fanKID who watches WWE. Who's that? Thats you my friend. Well this coming from a teen, and I dont care about wwe, no long anymore. I'm sorry to burst your lil' bubble kid, but I'm gonna turn 21 on Friday. What are you? 14 or 15? You say you dont disrespect.. What is this comment again??? "I hate WP and have to absolutely troll it on every article" - PAU Explains a lot - very much a 'reasonable' permission to troll. Hey Mr. Reasonable, you are found every WP and Apple article trolling. Eg: The other day, you were trolling on an article about the iPhone 5. Agaim, show me where I'm trolling or hating WP ??? That would be you, sir. Just replace wp by Android. You called us fandroid yet to spent so much time arguing with us to see things your way. Isn"t this a oxymoron. I pick Android for my mobile the same reason I pick windows for my desktop. Linux is superior if you ask geeks but I chose windows. Reason is I get more developers support, more apps or software, more manufacturer support therefore more hardware, more accessories. Android is not perfect just like desktop Windows but my willingness to learn to manage it gives me its rewards. Maybe because we have this thing called freedom of choice? NokiaFTW: "I don't like Android..." refillable: "Why don't you like android?" iampayne: "Maybe because we have this thing called freedom of choice?" So freedom of choice makes you don't like other??? I sold my Nexus 7 and got an iPad 4 you little prick. Who would love a laggy little mess anyway.